TICKR is the most advanced way to train with heart rate. Whether you are working towards a PR or working off a big meal, the TICKR helps you meet your goals. 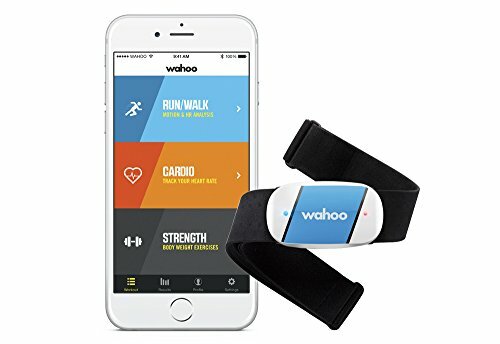 Pair with the Wahoo RunFit app to make your workouts more efficient by using heart rate to train intelligently. The TICKR monitors your heart rate and calories burned, plus distance and pace when used with a smartphone and most popular fitness apps. The TICKR’s dual band technology (Bluetooth 4.0/ ANT+) works with most smartphones and GPS devices, making it the ultimate heart rate monitor.